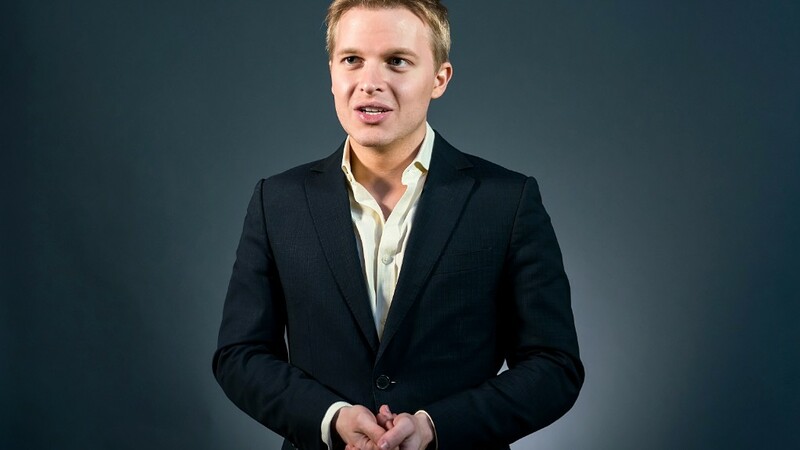 Ronan Farrow's incredible run of reporting proves that good work is its own calling card. Case in point: Some of the sources for his newest story, about Les Moonves and the culture at CBS, "began coming to me immediately after the Harvey Weinstein story," Farrow says. Farrow spent much of 2017 investigating Weinstein's alleged abuse of women. His reporting was originally for NBC News, where he was being underutilized. After many months, the network essentially told him to take the story elsewhere, so he did -- and The New Yorker ended up with his scoop. Farrow's investigation came out last October, just a few days after The New York Times published its OWN reporting about Weinstein. He has continued writing for The New Yorker ever since, turning out impactful stories, such as his recent look inside CBS. One of the Moonves accusers, Illeana Douglas, "called me, in fact, the day after that first Harvey Weinstein story I wrote and told me her story, and we've been carefully investigating since," Farrow said on CNN's "Reliable Sources" on Sunday. And if the past is any indication, he isn't finished investigating yet. Journalists in New York, DC and L.A. talk about Farrow, 30, with a mix of awe and envy. In the past year, he has earned practically every major award in the journalism world. His reporting about Weinstein, paired with The Times' work, won a Pulitzer Prize in April. Still, Farrow "has his head about it," The New Yorker's David Remnick said. "The work is the work is the work." In a phone interview, Remnick said Farrow is a prime example of how "good journalism leads to more good journalism." "If you present yourself to the world as somebody who's aggressively pursuing the truth in a certain trench, you're going to start getting tips too," he said. After Farrow's first report about Weinstein came several followups. Farrow has dug into other subjects, too, including President Trump's backscratching relationship with American Media Inc. chairman David Pecker. Farrow's celebrity status and Hollywood connections -- his mother is the actress Mia Farrow -- surely help open doors with sources. But he's not coasting on his famous last name. He has a reputation for keeping his head down and reporting -- something that stands out in the opinion-saturated social media world. He talked with several TV networks about possible deals in the wake of the Weinstein probe, and ended up partnering with HBO, where he'll be developing a series of "investigative documentary specials," according to the company. When Farrow was still at NBC, working on the Weinstein story, he interviewed The New Yorker's Ken Auletta. It was the spring of 2017. "What struck me when Ronan quizzed me about Harvey last spring was how judicious he was," Auletta said. "Careful to separate fact from rumor. I watched him ask questions, but actually listen to answers." When NBC stymied Farrow's work, he reached out to Auletta, which led to The New Yorker arrangement. "That NBC allowed Ronan to get away is akin to the Red Sox trading Ruth," Auletta said. "I still can't believe Ronan is only 30 and hitting home run after home run." Other sports analogies also apply. 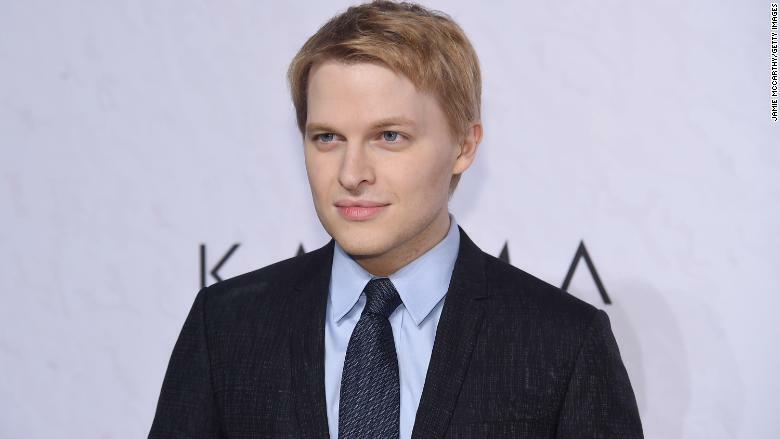 "Ronan Farrow is on a 'Michael Jordan vintage season' reporting tear," Politico's Dan Diamond tweeted earlier this year. Most of Farrow's stories have appeared on the New Yorker website, but not the magazine. One memorable example: The story he co-authored with Jane Mayer about abuse accusations against New York attorney general Eric Schneiderman was posted on a Monday evening. Three hours later, Schneiderman resigned. The story never appeared in print. "That kind of story, it gets gobbled up so quickly by the readers," Remnick said. But the new Moonves and CBS story will appear in this week's print edition. Farrow is careful not to reveal too much about his reporting process. At times, he has been frustrated by the rumor mill that often envelops the stories he's working on. People inside CBS had been buzzing and guessing about his Moonves reporting for several months. On Sunday's "Reliable Sources," he called it "noise and interference." "When you work on stories involving dozens and dozens and dozens of sources, it becomes almost inevitable" that word "leaks out," he said. "I do think it's important for the public to distinguish between the secondary coverage of the story, which is often fraught with misinformation, and the story itself, which is the product of many meticulous months of investigation." Farrow just finished a book about diplomacy titled "War on Peace." Now he is at work on a book about his Weinstein reporting and the fallout. He is expected to tell his side of the NBC story in detail for the first time, explaining how his reporting was tabled by the network. NBC News said at the time that "we didn't feel that we had all the elements that we needed to air" Farrow's story. Farrow has challenged that assertion. And the company publishing his book, Little, Brown, says he has "astonishing disclosures" to share. The book, titled "Catch and Kill," does not yet have a publication date. His CBS investigation has also directed inward -- on the conduct of another major media company. "It forces us to take a look at newsrooms and the need for accountability in the places that shape the facts that we receive," Farrow said. "We talked to one investigative journalist who said, 'if I am the business of confronting hard truths myself for a living, how could I turn a blind eye to this.'"